Musharraf Hussein is an imam in Nottingham, UK and a strong public voice for respectful coexistence among all faiths, and against extremists within Islam who recruit young Muslims to be terrorists. To Muslim extremists, Hussain is a marked man. For his courage, he is also a Giraffe Hero. GHI has been working with Imam Hussain since 2010, when Giraffe Heroes International and the Karimia Institute launched a joint program to defuse the disaffection and anger of many Muslim youth in the UK and replace it with a growing sense of competence and hope as citizens of their adopted country. There are over three million Muslims in the UK and half of them are under 25. Most of them live in abysmal social and economic conditions, made worse by a confusion of identity and a lack of teachers and role models. These multiple deprivations lead to a sense of alienation and victimization that then breed anger and frustration which make the kids easy prey for the recruiters of radical Islam. The situation of young Muslims in the UK has become a growing social and security threat. Many of them applaud the violent tactics of al Qaeda. Almost all of South Asian descent, the most radicalized of these young Muslims can end up in training bases in terrorist safehavens in Pakistan. Mainstream Islam in the UK does not condone terrorism, condemns the violence of al Qaeda and urges UK Muslims to participate as full citizens of Great Britain. 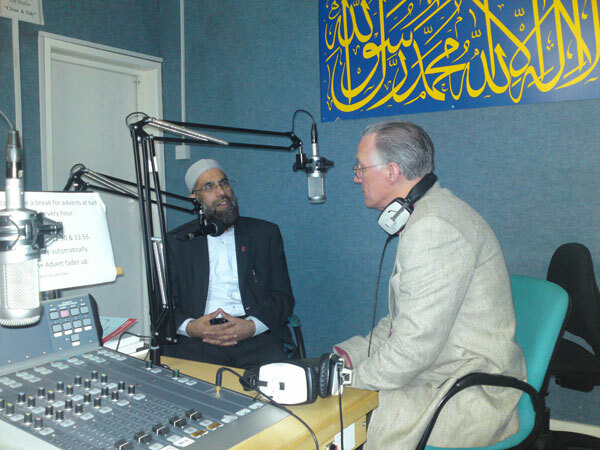 Politically moderate UK Islamic organizations, such as the Karimia Institute based in Nottingham, struggle to counter the influence of radical clerics among Muslim youth. The Karamia Institute is a politically moderate Muslim organization whose mission is “to promote moral, social and spiritual development through worship, education and recreation for today's society.” The Institute operates over twenty programs for men and women, boys and girls, including nurseries, schools, mosques, a radio station and a sports center. Its newest program is the Muslim Youth Development Project, working with Muslims aged 16-25 to develop leadership skills and encourage community volunteering. GHP President John Graham and Imam Hussain, Director of the Karimia Institute, first met at an international conference in Switzerland in the summer of 2009. They quickly saw the possibilities for using Giraffe themes and programs to support the Institute’s work in helping disaffected Muslim youth develop confidence, self-esteem and self-belief. Trained Karimia Institute staff to set up a system to solicit nominations for real heroes from the Muslim community, select the best stories, then get those stories told by whatever means would be most effective, including Radio Dawn, the Institute's own station. Explored with the Institute what would be needed to amend the Giraffe civic engagement materials now used by schools and youth organizations in the US to fit the unique context of Muslim youth in the UK. In the plan that resulted, Muslim youth first hear, see or read the inspiring stories of real heroes, credible examples of real people leading exciting, productive and meaningful lives. Then they are coached to become heroes themselves by designing and carrying out projects that help solve public problems they care about. Seeing the positive difference their actions can make in their communities—Muslim youth learn that they are valuable members of society and can live their entire lives as involved citizens. Their communities see them as assets instead of liabilities. Taking part in Giraffe programs helps give these young Muslims confidence and skills. Perhaps most importantly, it gives them hope.